The Micromax leading mobile manufaturer in India, officially launched A110Q Canvas 2 plus Android smartphone. 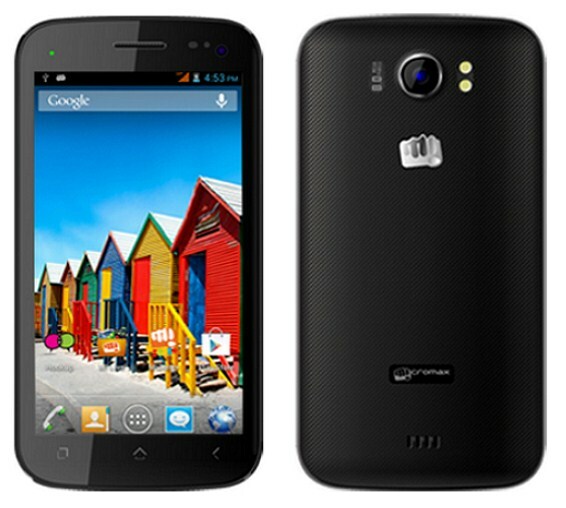 The phone now available on Micromax e-store for Rs 12,100. The A110Q Canvas 2 plus phone comes with 12.7cm IPS capacitive touch screen with 854 x 480 pixels resolution. The phone powered by 1.2GHz quad core processor with 1GB RAM and it runs on Google's Android 4.2 Jelly Bean operating system. The phone features 8MP rear camera with Auto focus and dual LED flash gives HD video recording. It has 4GB memory and expandable up to 32GB with microSD slot. It sports 2000mAh battery gives standby time up to 280 hrs and continues talk time up to 6 hours. For connectivity the phone supports WiFi, Bluetooth 4.0, 3G, USB 2.0 and more.